How to create a cheque book? In menu "Management", choose "Cheque Book Management"
Click the icon to create a new cheque book. A "Cheque Book" dialog is shown out. Cheque Book ID - a identifier for your own reference, which shown in the Tools Box. Account Name - The name of account which this cheque book belongs to. It is shown in the Tools Box for informative purpose only. Account Number - Account number for which this cheque book belongs to. It is for informative purpose only. 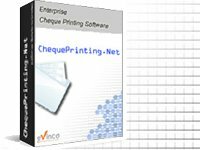 Cheque Template - Choose the cheque template which this cheque book fit to. Numbering System - Choose the currency label and subunit. Starting Cheque Number - The next cheque number of your cheque book. This number will be increased for every cheque issue. It is useful for you to keep track your issued cheque. Balance Tracking - Assign a account balance if you want to perform balance tracking. The newly created cheque book will be shown in the "Cheque Book Management" window. When you return to the main window, you should also find a new folder under the "Tools Box" in L.H.S., which represent the new cheque book.